4-Hour Premium Hosted Bar Open Bar 10pm – 2am. Mansion OC NYE 2016 with DJ Scotty Boy — The most celebrated party evening in the world will be here before you know it. Join one of the most exclusive events in Orange County for New Year’s Eve 2015-2016. #MADEOC invites you to revel in a redefined OC nightlife as you simultaneously experience the newest edition to the Orange County clubbing scene, MANSION OC (formerly the Shark Club in Costa Mesa). #MADEOC presents MANSION OC’s Official Grand Opening and NYE Countdown Party with DJ SCOTTY BOY on December 31st 2015 (Thursday) — 9:30 PM to 2:00 AM. MANSION OC New Year’s Eve Extravaganza 2016 is bound to be an unforgettable night. 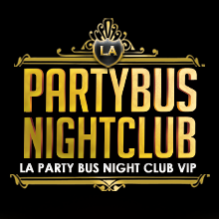 Guests will enjoy a fantastically prepared schedule of OC’s talented top DJs to deliver bass-heavy booty breaks that inspire audiences to pump up their sweat as they groove on the dance floor to the best of the best of Hip-Hop, House, Top40 and Edm music. Prepare to dance, dance, dance to the supremely sick spinning skills of these local beat masters on choice of two expansive dance floors while indulging in a four hour premium open bar, or opt out of this open bar upgrade and enjoy drinks from one of the many cash bars available inside MANSION OC located at 841 Baker Street in Costa Mesa, CA 92626.